My alma mater, Nazareth College, is hosting a juried semi-centennial alumni exhibition located in the Arts Center Gallery at 4245 East Avenue in Rochester, NY. More information here. The exhibition is in memory of Renee Simone-Lee, who recently passed away. The work is on display now until March 4 and features the work of 80 alumni. 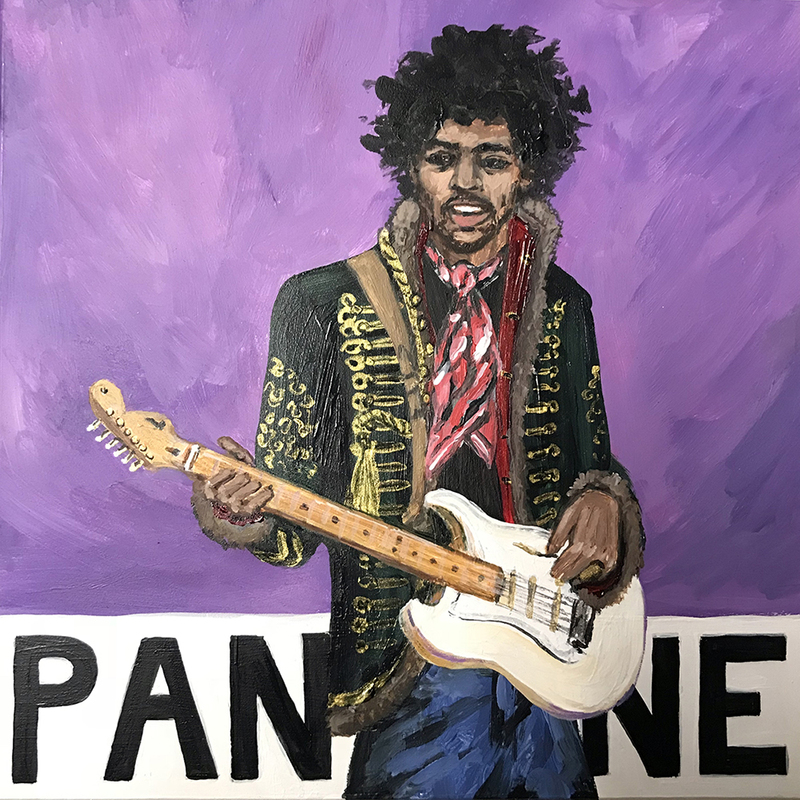 Pantone 18-3718 Purple Haze (Jimi Hendrix) is in the show and available for purchase. More Pantone pieces are available in the shop and you can view previously purchased works here. Please stop by the exhibit if you are in the neighborhood or on campus for an event!